Multiple sources have allegedly leaked that Nintendo is set to reveal a new hardware at this year's E3, and games compatible with the hardware will supposedly be playable on the show floor. 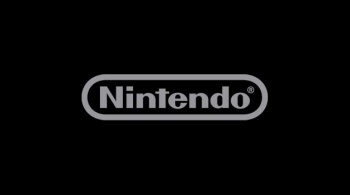 Update: Issuing a statement to Eurogamer, Nintendo has said, "we definitely aren't announcing hardware at this year's E3." So there you have it, folks. Don't expect any new hardware from Nintendo come this June. Unless of course this is a ruse on the company's part, in which case, discuss and speculate away! Those anticipating a "megaton" at this year's E3 (Electronic Entertainment Expo) might find something more than they bargained for. According to multiple reports, Nintendo will unveil a new hardware at this year's show. In the latest episode of IGN's Nintendo Voice Chat, IGN editor Jose Otero states, "We've heard rumors that Nintendo might be showing hardware at E3." The rumblings were further corroborated by IGN's Peer Schneider who claims, "They're absolutely going to show new hardware this year...No doubt in my mind that something... 'Cause I've heard from multiple people now. I've heard from someone who used to be at Nintendo, I've heard it from somebody on the third-party front." If that wasn't enough to get Nintendo fans talking, Videogamer has also said the same thing and the info comes from a "third-party" publishing source. The report adds that "Games compatible with the hardware will also be playable at the show." No word yet on official system specs, what it will be called or when it will be released, though. But it's reported that this new hardware will be composed of two parts: a "Fusion DS" and a "Fusion Terminal," and will be a direct successor to Nintendo's struggling Wii U console. However, don't go forsaking the Wii U just yet. Over on NeoGAF, IGN's Jose Otero has posted a rather lengthy reply as to why they didn't publish the story in the first place. You can check Otero's entire forum post below. I understand why someone would consider what we discussed newsworthy, but this story completely ignores an important piece of context: We didn't trust these sources enough to run a story on IGN. It's a conversation, and sometimes we get carried away. Peer did make the above argument, but we also framed the discussion around the context that we weren't sure. Unfortunately, the author made no effort to convey that in his news story. If we believed what we'd heard, you wouldn't have found out about it on another site. We would have run that story ourselves. Just food for thought. I don't blame anyone for running with it, but omitting that context from the story is pretty shady. Again, I get it. But I'm here to tell you the discussion wasn't as simple as "this is for real, guys!" When asked for a statement, Nintendo representatives said that it does not comment or rumors or speculations, which could either mean the story's real, or a few sources have been given wrong info. Bear in mind that this is still a rumor and should be treated as such. But with multiple sources saying the same thing, don't be surprised if Nintendo unleashes a new hardware come this June. It's also important to note that "new hardware" could mean anything from a new controller peripheral to a new console altogether. Perhaps a redesign of the Wii U or a new add-on? Your guess is as good as mine at this point. For those curious whether there will be an announcement or not, Nintendo won't actually be holding a press conference at this year's show, and will instead be hosting a live-stream of what they have to offer on June 10. Do you believe Nintendo will announce a new hardware at this year's show or will it be too soon given that the Wii U was just released in 2012? And if an announcement does happen, what will be the fate of the Wii U? Will it then be safe to say that the console has already failed?